Mink and the neighborhood kids are hard at work outside all day, playing a game called Invasion. Or at least that's what her mom thinks. Throughout the day, the mother continues to have strange encounters with Mink as she talks about her friend, Drill, who is supposed to be an alien that's planning an invasion of Earth by using the children. The mother laughs at this and marvels at children's imagination. However, when she talks with her friend from several cities away, she hears that they are playing the same game and have someone named "Drill" too. The mother finds this curious but doesn't think much of this either, and she doesn't quite seem to understand why it is only children under 10 years old that are allowed to play this game too. Mink explains that people over ten years old will only make fun of them and more importantly, lost their ability to be impressionable. Finally, five o'clock rolls around which according to Mink is the time the invasion will start. The father comes home and the two are talking when a loud buzzing noise can be heard from outside. The mother pieces together what is actually happening and drags the father up into the attic, trying to explain that they need to find cover because something horrible is going to happen. The father resists and continues to make noise while in the attic. The story ends with Mink entering the attic with the alien behind her. Overall, this was a fun tale though you see the punchline long before it is executed. 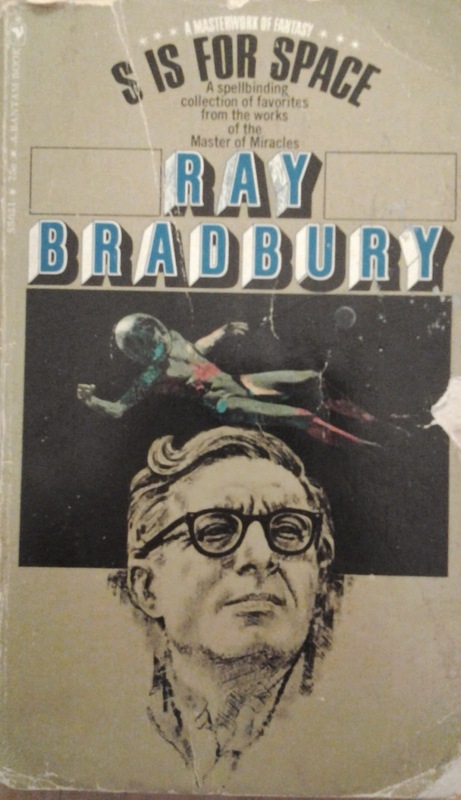 In part, it's probably because of Bradbury and the ways in which he infused childhood with a magical essence in his writing that will make the modern reader know something is up. However, that children under ten are somehow highly impressionable over say teenagers or adults, I think remains to be seen. I think what kills it most within this story is the arbitrary switchover from nine years old to ten. In some ways, Bradbury reveals his own cards and inability to be flexible in his thinking or his own impressionability by declaring 10 the be the dividing line. Source: S Is For Space by Ray Bradbury. Bantam Books, 1970. This short story was made into a half-hour short for the Ray Bradbury show. You can also check out the script adapted for radio too. While 9-10 may not be rational as a matter of science, since exact years means nothing to human aging, we're talking about a short story, and that kind of shortcut seems fine. We're learning more about your desire to find ... fault I guess. ... than Bradbury. "However, that children under ten are somehow highly impressionable over say teenagers or adults, I think remains to be seen. " It's just a device for a story. He wasn't making a statement of science fact. Treating it as fact as opposed to something to convey an idea is, well, inflexible.. I hope that over the years you've chilled out. Hi there--thank you for reading this post! If my tone is one of not chilled out--oh well...it's a blog where I share my thoughts, particularly on what I'm reading. With regards to the device that Bradbury uses, I realize they are devices and used throughout fiction. I don't have a "desire" to find fault with Bradbury, but rather after reading much of his work, there are criticisms worth acknowledging and this is one of them.